I’m not a Chicago fan. I’m a Blackhawks fan. It wasn’t always this complicated. Wisconsin born and raised, I didn’t grow up in a hockey family – I never skated. I never watched the games. When hockey highlights showed up on SportsCenter once in a blue moon, it was my cue to get off the couch and make myself a snack. It may as well have been a commercial break. I honestly couldn’t care less about the sport. I didn’t understand it, and I didn’t want to. I couldn’t comprehend why fully grown men were allowed to drop their gloves and attempt to beat each other to a pulp. What’s the point? Boxing on ice, I called it. I never would have foreseen myself becoming a hockey fan, let alone supporting a team from Chicago. I hated hockey without ever giving it a chance. But perhaps I hated Chicago more. When I departed for college, I wanted to make a concerted effort to broaden my horizons, try something new. And boy, did I ever get the opportunity to do so. During my freshman year, I met a guy down the hall who eventually became one of my best friends. He was from Illinois – a Chicago Blackhawks fan. Naturally, I was around hockey more and more as the year progressed. It was only fitting that my first experience viewing a full-length hockey game featured a fight between goaltenders, something that rarely happens. But how would I know? I was a novice. More boxing on ice, I thought. Over time, I learned about the sport. The NHL All-Star Break was approaching, and I took it upon myself to watch all the festivities, including the Fantasy Draft. One of the alternate captains was Patrick Kane from, you guessed it, the Chicago Blackhawks. Sure, I had heard of household names like Sidney Crosby and Alexander Ovechkin as I scavenged through my house for food with SportsCenter in the background during yesteryear. But Kane was the first player I gravitated toward, the first player I knew. Whenever he played, I wanted to watch. Initially, I felt out of place cheering for a team from Chicago, but I got over it relatively quickly. After all, I came to the realization that Wisconsin doesn’t have a professional hockey team. We have the Milwaukee Admirals – the AHL affiliate of the Nashville Predators. 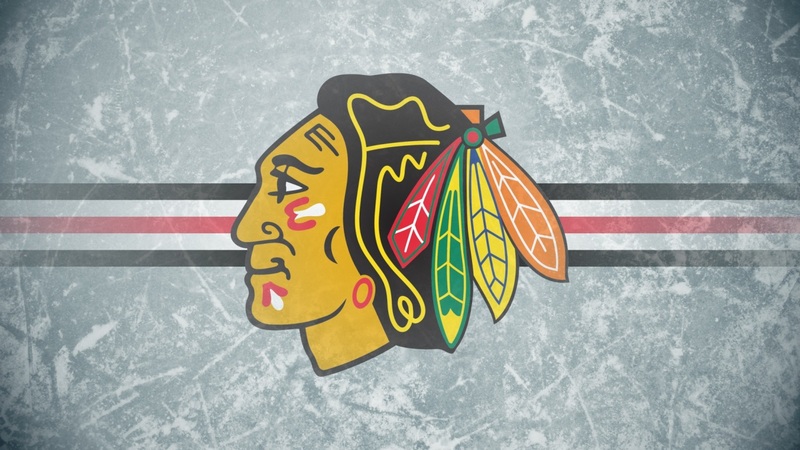 Be that as it may, the more I seriously followed the Blackhawks, the more ridicule I received from family, friends and even acquaintances who, quite simply, didn’t understand my point of view. Most of them still don’t. I couldn’t decide which one was worse. It’s just how things worked out. People know me for my sports prowess, my dedication and passion as a fan. When questioned about my fanhood, that’s not something I take lightly. Someone once asked how I can be a Packers fan and a Blackhawks fan, suggesting I should be ashamed. That nearly drove me over the edge. Let me be clear: the Packers will always be atop my team totem pole. I don’t have a tattoo of the logo on my chest for nothing. My support for the Blackhawks in no way reflects how I feel about other Chicago teams, notably the Bears and Cubs. I find great solace in the fact that the Bears only have one Super Bowl and nine World Championships, as opposed to the Packers’ four and 13, respectively. And no part of me wants to see the “Lovable Losers” at Wrigley Field win their first World Series in more than a century. Thank you, Steve Bartman. The Bears are to the Packers what the Cubs are to the Brewers. There’s no hockey rivalry for folks from Wisconsin to get upset about. It’s only a Chicago thing to them. Yes, I understand the Blackhawks reside in the Windy City, but please save your breath if you plan on telling me how close it is to Milwaukee and everything we hold dear as Wisconsinites. I don’t need a geography lesson. Chicago is just a city. The Blackhawks are so much more than that. I fell in love with hockey and the Blackhawks to the point where I wanted to share it with someone, the same way my friend did with me. I force-fed my old man with more hockey than he could handle until he reluctantly began watching Blackhawks games with me on a regular basis. He was even more dead-set against being a hockey fan than I was at first. But just a few years later, we’re splitting a subscription to NHL GameCenter so we have access to every game. He sarcastically tells me how he was perfectly happy with the way things were before I introduced him to hockey. He didn’t need the additional stress that comes along with being a Blackhawks fan: the Game 7s, the mad scrambles with an empty net. Yet he thanks me for bringing it all into his life. Being a Blackhawks fan in Wisconsin is unique – a fraternity of sorts. I’ve come across fellow Blackhawks fans a number of times, but conversations don’t usually take place. We smile, nod and continue on. We already know what it’s about: pride. For 18 years, I wedged the door shut on something that has increasingly become a huge part of my life. I was close-minded and ignorant – oblivious to the possibilities that have since become a reality. 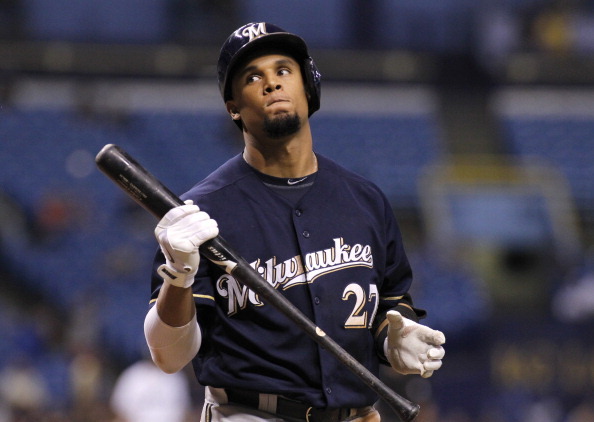 I’ve been to the Blackhawks Convention, several games, including Game 4 of the Stanley Cup Final, and even a Stanley Cup victory parade with two million strong; none of them cared about my ties to the Packers or Brewers. Being a Blackhawks fan in Wisconsin isn’t as sacrilegious as it seems. Open your mind. Give it a chance. There’s no better time than the present. I never used to have a hockey team. Now I do. And it’s not a Chicago thing. Aaron Rodgers’ 48-yard touchdown pass to Randall Cobb, with 46 seconds left on 4th-and-8, gave the Packers their third straight NFC North title. They defeated the Bears, 33-28, at Soldier Field. It was 4th-and-8 at Soldier Field. 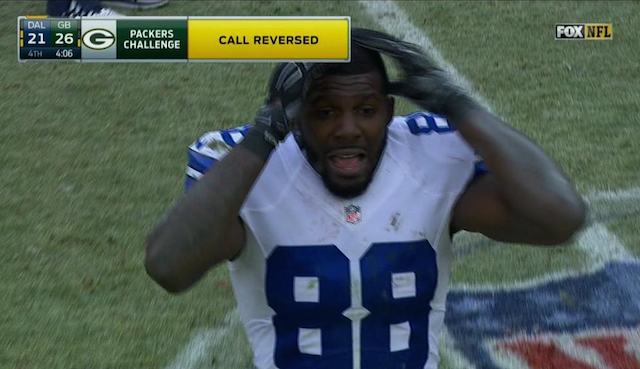 The Packers’ playoff hopes were dwindling. They trailed the Bears on the road, 28-27, in the 2013 regular season finale. The next 46 seconds would determine the winner of the NFC North. We all remember the play. Packers quarterback Aaron Rodgers took the snap. He faced an immediate rush from Bears defensive end Julius Peppers. Fullback John Kuhn arrived in a knick of time, blocking Peppers just enough to prevent him from reaching Rodgers. The former MVP rolled out to his left and heaved a dime to Randall Cobb, who bolted past a flatfooted Chris Conte to haul in a 48-yard game-winning touchdown, propelling the Packers into the playoffs. The Bears were stunned – an all-too-familiar feeling against their archrival. The Packers went on to win the division for the third straight season, but their playoff campaign was short-lived, as they were bounced from the postseason by the San Francisco 49ers in the Wild Card round. During the offseason, the gap continued to close in the NFC North. The Bears improved their defensive line with free agent acquisitions Lamarr Houston (Raiders) and Jared Allen (Vikings). They also boast the best wide receiver duo in the league in Brandon Marshall and Alshon Jeffery. There’s hardly a debate about that. The Bears’ offense could be one of the most explosive units in the NFL this season, but it may come down to the play of quarterback Jay Cutler, who Marshall recently declared will be the 2014 NFL MVP. If the league is looking to further investigate substance abuse among its players, Marshall could be their next target after such a ludicrous statement. Confidence clearly isn’t lacking in Chicago, but there’s quite a fine line between confidence and arrogance. Considering the hype in Chi-town, you’d think the Bears were the team with three straight division titles. That’s not the case. 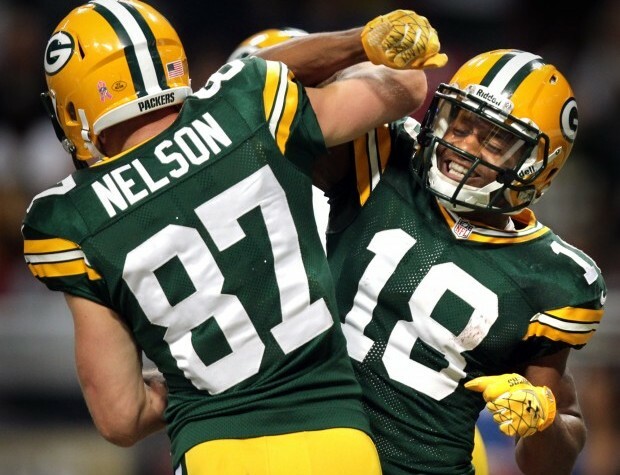 However, they remain the Packers’ most prominent threat in the division. The Lions were perhaps in the best shape to seize their opportunity to win the division last season, but their discipline issues proved costly, as they were their own worst enemy down the stretch. New head coach Jim Caldwell – with his level-headed demeanor – will be a much-needed breath of fresh air for Detroit. Caldwell is more respected than former head coach Jim Schwartz. But let’s be honest, that’s not saying much. On the plus side, you most likely won’t see Caldwell trying to start a fight with an opposing coach after the postgame handshake, which can only be good news for Lions fans. The Lions added tight end Eric Ebron in the draft and former Seahawks receiver Golden Tate in free agency to complement Calvin Johnson in the passing game. Don’t be surprised if the Lions turn things around this season and make a run at the division title. The Vikings can’t really be considered a serious contender in the division until they figure out their quarterback situation first. They have three quarterbacks competing for first-team reps in training camp, including their 32nd overall pick in this year’s draft, Teddy Bridgewater. The other potential suitors for the position include Matt Cassell and Christian Ponder, whose days as the Vikings’ starter appear to be all but over. If history is any indication, quarterback controversies don’t typically end well. It’s a shame, too. Wide receiver Cordarrelle Patterson is waiting for an opportunity to breakout. He’s one of the most explosive playmakers in the league, and he showed flashes of brilliance last season. The Vikings just need to find a way to get the ball in his hands. Of course, Adrian Peterson is always a threat in the Vikings’ backfield, but at 29 years old, he appears to be losing ground on his quest for a Super Bowl ring. Unless the Vikings turn it around, Peterson will be remembered as one of the best players to never win a championship. The Packers are the class of the NFC North. That trend will continue until another team steps up and decides it’s had enough. Despite remaining in familiar territory atop the division the past three seasons, the Packers certainly can’t be satisfied with one-and-dones in the playoffs. They’re not far off from another Super Bowl, though. 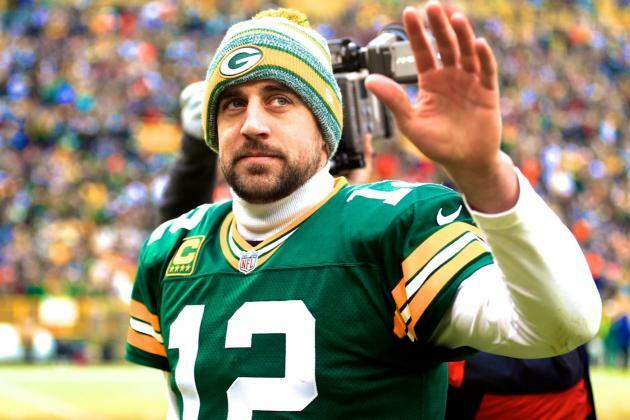 Here are the four reasons why the Packers will win the NFC North in 2014. Lack of experience within the division: Entering his ninth season, Packers head coach Mike McCarthy is the longest-tenured head coach in the division by far. 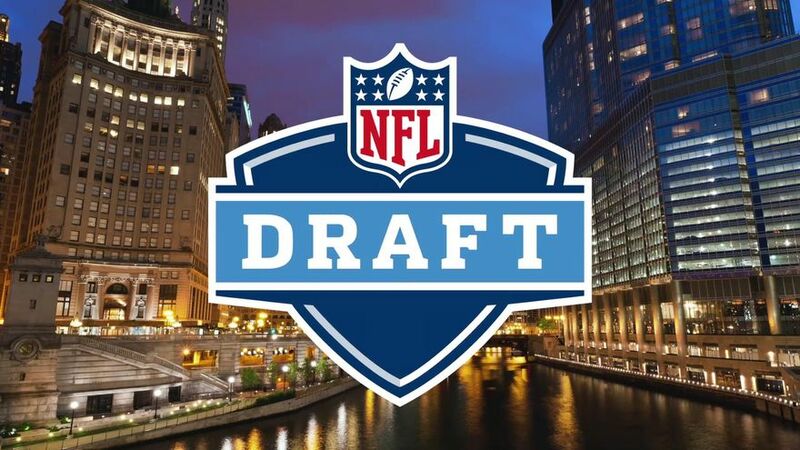 Bears head coach Marc Trestman is heading into his second season, and the aforementioned Caldwell – who has three years of previous experience as the head coach of the Indianapolis Colts – and Vikings head coach Mike Zimmer are entering their first season with their respective teams. Don’t underestimate the importance of having the same coaching staff year-in and year-out. It typically takes time for players to adjust to a new coaching style and system. Additionally, we saw the Lions and Bears unravel with an opportunity to take control of the division at the end of last season while the Packers were ailing. Let’s face it; neither team had much experience with a division lead during the past few seasons, and that won’t change until they start winning meaningful games in November and December. 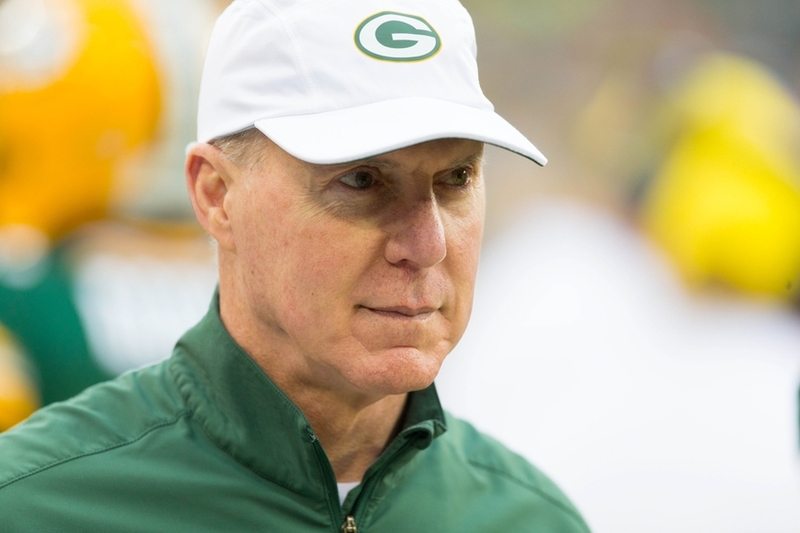 The Packers have proven to be the team with the most resilience in the NFC North, and McCarthy’s experience is primarily responsible for their stranglehold on the division. Julius Peppers and an improved defense: The Packers don’t have the reputation of being an aggressive team in free agency. That altered a bit in March when they scooped up Peppers, who spent the last four seasons with the rival Bears. Those in Chicago hold a firm belief that Peppers has lost a step. They accuse him of taking plays off. Regardless of their beef with Peppers, they most likely aren’t happy about seeing him end up in Green Bay, especially opposite Clay Matthews. Peppers and Matthews have never had the benefit of being paired with another player of their caliber. The Bears misused Peppers as an every-down player, which may have resulted in his declining performance. He’s no spring chicken anymore. The Packers plan to use Peppers in a variety of positions, formations and situations, maximizing his effort when he is on the field. He also has been reunited with Packers defensive line coach Mike Trgovac, who coached Peppers for several seasons in Carolina. The comfort and familiarity will allow Peppers to excel in the Packers’ defensive system. Even at 34 years old and in the twilight of his career, the aging Peppers is a physical specimen and has the ability to make a difference. He has almost everything – size, speed, versatility, athleticism, and now, added motivation from his doubters. If he can put it all together this season, he might end up with the one thing he doesn’t have: a Super Bowl ring. If nothing else, the Packers have acquired a seasoned veteran who will be a mentor to their young crop of defensive players. 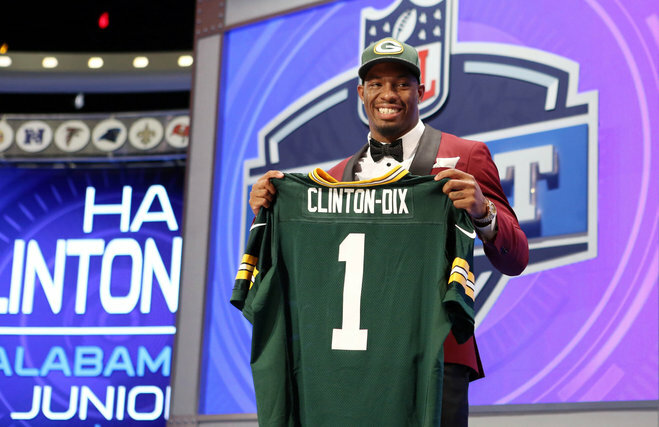 The team selected safety Ha Ha Clinton-Dix with the 21st overall pick in the draft, and he may not even start due to Micah Hyde’s transition from cornerback to safety. Even so, the Packers have a lot of depth at the position. Paired with Morgan Burnett, either player will be an upgrade over Jerron McMillian or M.D. 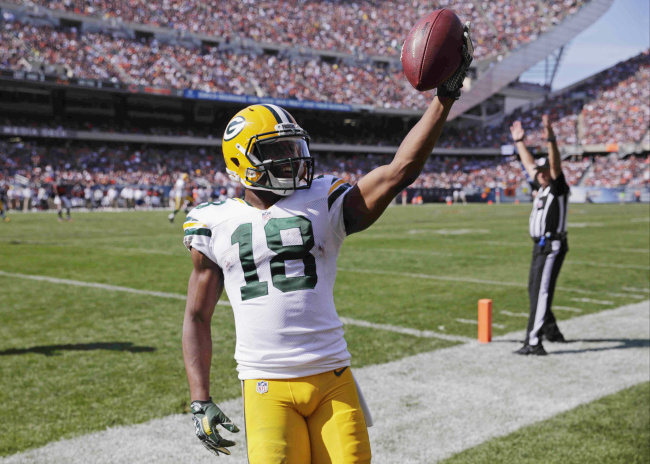 Jennings, who started for the Packers in 2013. Also in the secondary, cornerback Casey Hayward is fully healthy, after missing a majority of games with hamstring issues last season. In recent years, the defense has been the Packers’ weakness. It finished 24th overall last season. With the addition of Peppers, as well as returning players, there’s no reason to believe the defense won’t be average, at the very least. It is poised to become a top-10 unit this season. Defensive end Mike Daniels already has expressed his desire for the defense to have a more physical mentality and match the offense’s production. If the offense and defense are clicking at the same time, the Packers will be even more of a threat, which is a scary thought for the rest of the league. Eddie Lacy: Roll tide, right? The reigning offensive rookie of the year, Eddie Lacy, put the Packers on his back last season when Rodgers was out for seven games with a broken collarbone. He often faced stacked boxes due to the Packers’ lack of reliable quarterback play, but his punishing running style allowed him to grind out 1,178 yards and 11 touchdowns. The Packers plan to increase Lacy’s role in the offense and involve him more in the passing game. His 35 receptions last season are nothing to scoff at, but you can expect that total to increase this season. There are so few three-down running backs in the NFL, but Lacy is a true workhorse in the Packers’ backfield. With Rodgers’ return, Lacy will undoubtedly face more favorable defensive looks in 2014. It’s no wonder Lacy is always smiling. He knows what lies ahead. Now that the Packers have a formidable rushing attack with Lacy, James Starks and DuJuan Harris, the possibilities are endless for the Packers offense. Aaron Rodgers: It’s enviable that Brandon Marshall thinks Jay Cutler will be the MVP in 2014, but for that to happen, Cutler would need to be the best quarterback, and player, in the league. He’s not even the best quarterback in the NFC North. 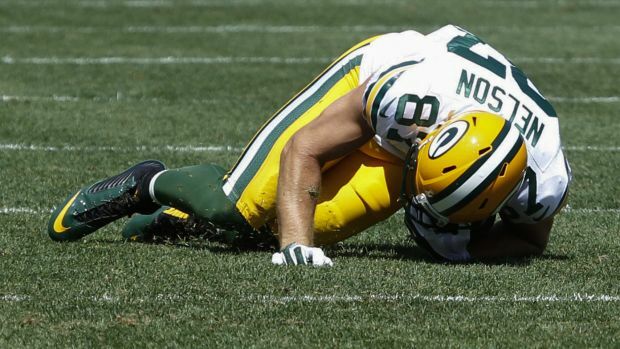 Injuries happen to every team during the course of the season, but the Packers had the worst injury bug in the NFL last season. They lost Rodgers for seven games, and that alone is enough to make the argument. When Rodgers is playing, the Packers are as dangerous as any team in the NFL. He’s that good. Not only that, he has a mutually beneficial relationship with Lacy. In total, Rodgers and Lacy only played in six games together last season, but the pair will make each other better. If teams stack the box to defend against Lacy, Rodgers will beat them through the air. If teams play deep in the secondary to defend against Rodgers, Lacy will run wild. And the last thing opposing defenders want is to face Lacy head on. Ultimately, defenses will have no choice but to respect the running game, leading to a plethora of opportunities for Rodgers. 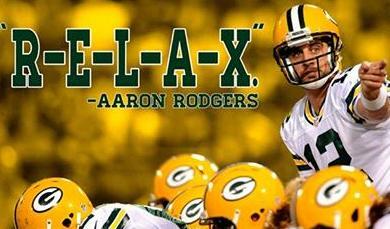 On paper, it would seem the Packers offense will be unstoppable in 2014. The end result will be one of the best seasons of Rodgers’ career. The pieces are in place for the Packers, but the Bears and Lions won’t back down, either. The NFC North will be one of the most interesting division battles to follow in 2014, but when all is said and done, the Packers will be on top. Who do you think will win the NFC North?